You are here: Home » Social Security Disability » After You’re Social Security Disability Benefits are Approved » How will I know whether my application for Social Security Disability benefits has been approved? Learn how you will find out whether your application for Social Security disability benefits has been approved, and what to do if you are denied. The Social Security Administration will send you a letter telling you whether your application for Social Security Disability (SSDI) benefits has been approved or denied; however, an approval letter may not be the first indication that you have been approved on initial claim or reconsideration appeal. If you gave Social Security your banking information for direct deposit, you are likely to receive a deposit to your bank account before you receive a letter. So, if you think that it’s about time for you to get a decision, check your accounts every few days for a deposit from the U.S. Treasury. If you get a payment before you receive a letter, you can either wait for the explanatory approval letter, which may come up to two weeks later, or you can call the Social Security Administration at (800) 772-1213 for an explanation of the deposit and information about your ongoing benefits or back pay. Another way you may find out about your approval is by a phone call from the Social Security Administration. 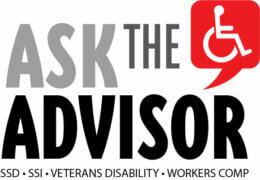 If some additional information or documentation is needed to start disability payments. Also, if you have eligible dependents, Social Security may call you or your spouse to make application for the children, which, of course, is a sign your claim has been approved. For additional information about dependents benefits, visit our article Can My Spouse and Children Get Benefits If I Am Approved for Social Security Disability? If your claim is at a hearing level appeal, you will always receive the hearing decision in a letter mailed to you well before payment is sent. What If I Get A Denial Letter or a Partial Approval Letter? If you receive an approval letter that is only partially favorable or you receive a denial letter, review the letter carefully. If you disagree with the reasons for denial or limitation of your claim, you have the right to appeal or have an attorney appeal your application for Social Security Disability benefits. For information about how to appeal and the deadline for appealing, see our article I Was Denied Social Security Disability. What Can I Do? What can I do to improve my chances for a Social Security Disability approval?